By now, I’m sure everyone is aware of the unfortunate passing of Apple co-founder Steve Jobs. However, few are aware of his contributions to the way we live our lives today. “Contributions” may be too soft of a word… he actually shaped much of the modern world we’re now familiar with. In 1976, Steve Jobs partnered with his friend Steve Wozniak and founded Apple Computer in Steve’s garage. 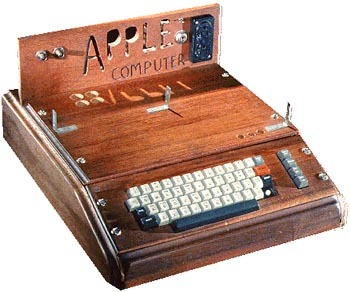 Wozniak was a wiz with newly available integrated circuit boards and chips, and Jobs had a vision of everyone owning their own “personal computer.” They created the Apple I — it was a circuit filled wooden box with no monitor that sold for $666.66 (because Wozniak liked repeating digits). The next year, Jobs introduced the Apple II. It was considered one of the most advanced computers for personal use available. Within a few years, Jobs was worth over $100 million and showing up on the cover of Time Magazine. In the early 80’s, Steve visited Xerox and noticed they had developed an experimental computer system with a graphical interface (GUI). This interface used icons instead of text to command the computer. In an exchange that basically consisted of Jobs asking “Hey, you mind if I use that idea?” and Xerox saying “Yeah, go nuts, it’s worthless anyway…”, Jobs released the Macintosh: the first commercial computer to use a GUI AND a new input device called a “mouse”. The Macintosh was introduced to the world in an iconic commercial during the 1984 Super Bowl. The commercial was only televised once, with the rest of the showings being in theaters before movies. Steve’s legendary “abrasive” personality got him voted out of Apple in the mid-80’s. He decided to purchase a small computer graphics company from George Lucas. You may have heard its name: Pixar. Steve directed the technology advancement and the concepts that gave them the ability to make films like Toy Story, Cars, The Incredibles, and more. Steve founded a new tech company called NeXT that made high end computers sporting innovative designs. The idea was to blend art and technology together, and resulted in odd cube-shaped workstations made of pressed magnesium. A new operating system based on UNIX was created for the computers. With a pricetag of $6500 + options, the company ended up being a massive failure…or it would seem. By the late 90’s, Apple was on the verge of bankruptcy. The Macintosh, while a critical success, never took off due to price wars with IBM compatible computers. A Mac cost nearly twice the cost of a more powerful Compaq or Packard Bell PC. Steve Jobs was invited back to try and save the company. He brought his visions and technology, Apple bought NeXT for $427 million, and Steve became CEO again in September 1997. 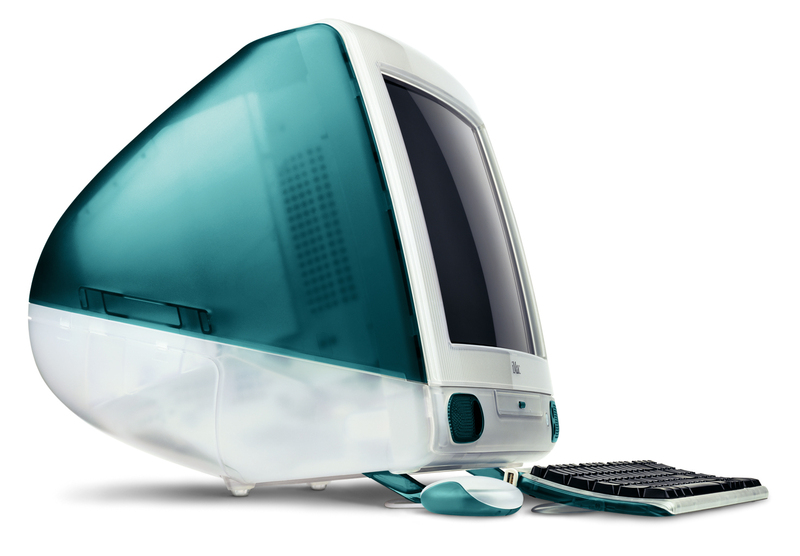 1998 gave introduction to the iMac. There was never anything like it on the market before: bubbly, neon plastic designs with an integrated monitor and a “hockey puck” mouse caused quite a stir. Steve’s concept of mixing art and technology was a huge hit. The “i” in front of the product name indicated “this device is personalized for me.” This concept started Apple on the road to what it is today. The operating system Steve brought from NeXT became OS X. It was first used on servers, then a version was ported to the iMac. Its very simple, colorful, and animated desktop has influenced all operating systems since. Windows Vista and Windows 7 both borrow heavily from the OS X design. 2003 was the year that changed everything. 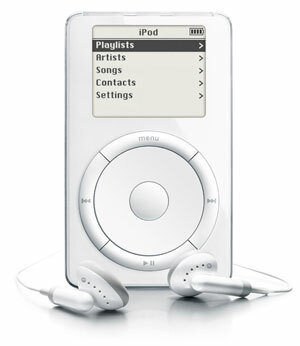 Small electronic devices that played MP3 music files had been around for years at that point. They tended to be clunky and required a lot of technical knowledge to operate. Steve’s strength was simplifying — let the technology do the work so anyone can use the device. iTunes and the iPod were released. Not only were they smash hits, they also planted the seeds for today’s modern Internet in an unexpected fashion. In 2007, Apple released the iPhone and the iPod Touch. These devices were the turning point of the entire tech industry. The iPod Touch was marketed as a premium music player, but that turned out to be a secondary feature. It ran a compact version of the OS X operating system, so it was in fact a hand held computer. The iPhone was not only a tiny computer, but a cell phone as well. Both devices could run software…called “Apps”…downloaded from the iTunes store. Not only were both devices a hit, they also made us rethink everything from software distribution to system designs. iTunes became a hub to distribute music, video, games, Apps, and more. The distribution design of iTunes has influenced companies from Amazon to Netflix, giving us unprecedented access to books, media, and movies. 2010 brought about another breakthrough: the iPad. Essentially a giant-sized iPod Touch, the product met with a few chuckles and bewilderment when it was introduced. The iPad turned out to be the product a lot of people wanted, they just didn’t realize it at the time. It made the Internet as accessible as opening a book: turn it on and you’re there. No complicated buttons, no wait, it just worked. The iPad brought the Internet to a whole new segment of people who previously would not even consider using a computer. It started the tablet revolution we’re seeing today. The comparison to Henry Ford is an apt one. It is rare that one person can have so much influence and shape the world for the better. Ford revolutionized transportation, making people and places more accessible. Jobs did the same thing, making information and knowledge more accessible. Steve made us think differently about everything. Cloud computing came about from the concept of iTunes and light weight apps. Smartphones used to be for business people checking email, now 1 out of every 4 of us use one as their primary way of accessing the Internet. Electronics are thinner, more efficient, and look better because of Apple’s design influence. Products are more functional as everything runs Apps these days: TV’s, Blu-ray players, watches…even cars and kitchen appliances. Wireless internet is now accessible in more places because of iPhone and iPad demand. I, for one, am enjoying the scenery on the trail Steve Jobs has laid out for us. All I can say is: Thank You. Steve Jobs was sincere and loyal to his skills, talent, and genius , he was so involved with his work and he had a sincere passion for his genius in High Technology, that he did not take his health serious . I am not a genius, I am not famous, I am a creative artist , an artist that enjoy and love to do creative things with my artworks, I can relate to him doing his creative talent and neglect his health, because I have done the same thing, I developed a weak heart working all night and day doing my artworks and crafts. I now have a heart pacemaker in my chest to keep me alive ! I can understand how Steve Jobs enjoyed his work and how he had a serious passion for his work. Steve Jobs was a Genius that needed rest and relaxation and he needed to be restored from his stressful work of extreme High Technology. Rest and Relaxation is a Priority to survive ! Previous Previous post: Do You Need Antivirus Software Anymore?